Soft in texture and sometimes runny, The sweetness and gentle blue flavour give it wide appeal. There are two theories explaining the origin of Gorgonzola. Some say it was first made in the town of Gorgonzola situated just outside Milan, in the year 879. Others believe it was created in the dairy centre, Pasturo, in the Valsassina, where the natural caves provided the perfect conditions for the maturing of the cheese. Either way, it is known that the cheese was produced in the Autumn using the milk of the 'tired' cows who were returning from the mountain pastures of the Italian Alpine region where they had spent the hottest months. The cheese was first called Stracchino di Gorgonzola, which soon became shortened. Gorgonzola is a protected cheese. It has had a Protected Designation of Origin (PDO) since 1996 which regulates many aspects of the cheese's production, including where the milk comes from, where it is produced and where it is matured. This serves to ensure the authenticity and quality of the product and can be verified by the consumer by the presence of a stylised 'g' on the foil used to wrap the cheese. The cheese is made with pure, high quality milk that has been heat treated, and poured into vats at a temperature of approximately 30 degrees. Here, starter cultures, rennet and a specific sub-species of Penicillium roqueforti, Penicillium glaucum, are added which curdle the milk. The curds are broken up and placed on tilted boards to drain excess whey and then placed in layers in containers known as 'fassiroli' or 'fascere' where they drain for a further period of time. The cheeses are then marked on the two flat faces to identify them as authentic Gorgonzola, and then transferred to cellars known as 'purgatory' due to their consistent temperature of 20-22 degrees and humidity level of 90-95%. Here, they are salted on all sides and after 3 or 4 days are transferred to maturing cellars which have a temperature of 2-7 degrees and a humidity level of 85 - 95%. They remain in these cellars for 50-90 days depending whether they are destined to be sweet (dolce) or spicy (piccante), and after roughly a month, are pierced with copper needles to allow the air to enter the interior of the cheese and aid the development of the essential blue-green penicillin mould that makes Gorgonzola unique. The interior of Gorgonzola Dolce, which is matured for a shorter period, is pale and ivory in colour, and is delicate and mild in flavour. It is noticeably much softer than the older Gorgonzola Piccante, and will often run. As the name suggests, the cheese is incredibly creamy and much sweeter than the spicy version and is often appreciated by people who find other blue cheese too strong. It lends itself well to being melted to use in sauces. 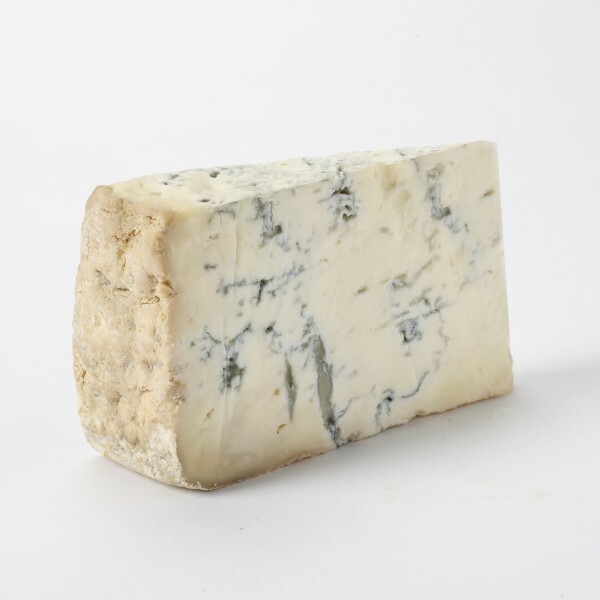 In the Middle Ages, Gorgonzola was used to cure some gastrointestinal conditions, and was also believed to encourage longevity and excellent health when regularly consumed. These days, some people believe that the milk enzymes, mould spores and substances produced by their metabolism have some effect on the intestinal bacterial flora, creating a type of antibiotic action.